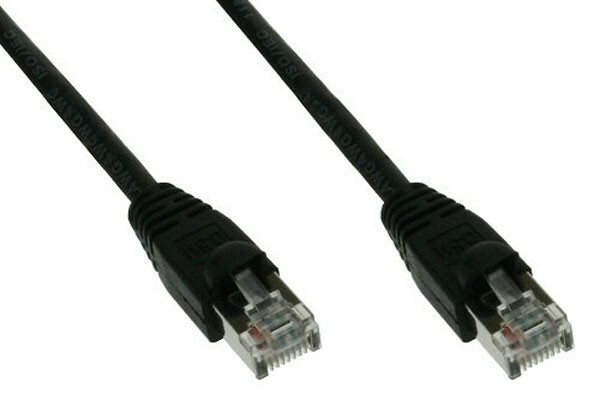 Network patch cable, perfect for connection of network cards, Routers, switches, hubs, etc. This cable is elaborately shielded and is completely equipped with a double layer of shielding. The plug locks in place when inserted. The plastic pin for release of the plug is additionally equipped with a rubber protection to prevent breaking of the release. Please note: For direct connection of two PCs a Crossover cable (Art.No. 87120 or 87121) is required.